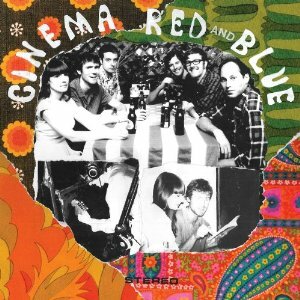 CINEMA RED And BLUE – S/T 12″ (what’s your rupture?) – Indie rock Five-piece with members from Crystal Stilts and UK act Comet Gain. CRYSTAL STILTS – EP (feathery tounge) – Self-released in 2005. White label, silkscreened sleeve with four tracks. Cd version has six songs. CRYSTAL STILTS – Shake the Shackles 7″ (slumberland) – White 7″ b/w “Magnetic Moon”. Limited to 400 copies. The GERMAN MEASLES – Wild Ep 12″ (captured tracks) – Six sloppy garage songs. V/A – THIS COMP KILLS FACSITS: Vol. 1 (relapse) – I am so glad to have finally found this after coming across Vol. 2 first. Curated by Scott Hull of Pig Destroyer and Agorophobic Nosebleed, this underground Relapse Records compilation features a whole slew of grind and power violence; like Kill The Client, Weekend Nachos, Magrudergrind, Maruta and much more. Generous information and some lyrics on individual artists’ pages in the accompanying booklet. Download (found via google search). This entry was posted on May 1, 2011 at 4:56 pm, filed under News.